You are here: Home / Careers advice / How long should a CV be? You’ll come across many tips on how to write the perfect CV, but one thing that’s often missed is the answer to the question, how long should a CV be? The length of your CV is arguably one of the most important aspects of CV creation, and must be addressed before you send it out to prospective employers. Two pages is typically the expected length of a CV – however, three may be possible depending on the role you’re applying for. For example, a medical role may require you to list lots of qualifications, previous experience, professional memberships and even publications – so three pages may be perfectly acceptable or even expected. Q: How long should a CV be? A: Don’t write an autobiography! It’s understandable that you want to point out to a recruiter how qualified and skilled you are for the job, but providing too much information and writing more than three pages is overkill. A recruiter simply does not have the time to read pages and pages of information – especially when they may have hundreds of CVs to shortlist. If your draft CV has already gone over two pages, you will need to look at what can be either shortened and made more concise and to the point, or removed altogether. The best way to decide what needs editing is to make sure that the CV is tailored to the role and only provides information which would be important and relevant to the prospective employer. For example, if you have a huge list of previous jobs that date back to when you left school, is it really necessary to have them showing in your work history? Have you listed too many tasks and responsibilities for previous roles that don’t have anything to do with the one you are applying for? Often when we come across a CV we find that some of the sentences have been padded out and could have easily been explained with fewer words. CVs are, of course, not meant to be too abrupt, but more often than not you will find that you could tweak a few sentences to get the same point across but with far fewer words. Highlight the text, right click and select ‘Paragraph’. Then slightly reduce the line spacing and the space before/after paragraphs (but take care not to make the overall effect overwhelming). Use bold and italics to help key information stand out. Is less than two pages okay? If your CV is too short, it could be overlooked, dismissed or give the impression you didn’t make an effort. Whether less than two pages will be acceptable really depends on the position you are applying for – and how much information you have to offer on your skills, qualifications and past work history. For the majority of roles, our advice would be to always stick with two pages as anything less than this could easily be overlooked or dismissed. Another issue you may have with less than two pages is that the recruiter may feel like you haven’t made the effort! There are lots of ways you can stretch your CV out to two pages if you are slightly short. You could check the spacing and font size and see if a slight adjustment makes it fit to 2 pages better. Obviously you don’t want to make it too obvious what you are doing by choosing a huge font or having unnecessary spaces, but sometimes even just moving the font up by one could be what you need to fill those last couple of lines. Ideally you want to fill the last page with relevant information about yourself that shows them how suited you are for the role, but if you are lacking in previous work history then it may mean you have to create more information elsewhere. What do I do if I don’t have a lot of previous work experience? Two pages can easily be achieved, even if you don’t have a lot of previous experience – instead, focus on what you have achieved so far. Find a particular role that you excelled in, and preferably one that relates to the new position, or at the very least has some transferable skills. Explain your responsibilities and achievements in more detail, perhaps using bullet points to ensure the information is easily digestible. If you have recently left school, college or University you can still create a two page CV by highlighting what you achieved and talk about any projects you took part in. For example, at some stage during your education you were likely to take part in some kind of class presentation, whether that was solo or as a group. There are some fantastic elements of this project you can then showcase on your CV, highlighting your communication skills as well as team working. Include any volunteering you may have done. Include achievements gained through out of work activities such as sports and projects. Take care not to pad your skills section with meaningless fluffy words such as ‘Good communicator’. Use other areas of the CV to give examples of when you were a good communicator. 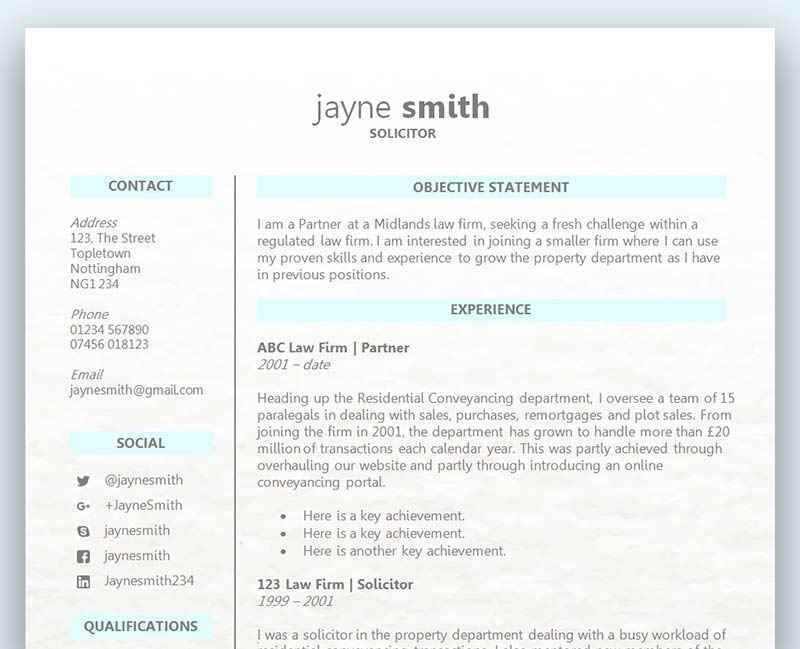 Use a more spacious CV layout such as our Curvaceous CV template or our Divided CV template. The extra white space taken up by the layout will help you get to two pages! View our full range of Word CV templates, free to download for personal use.